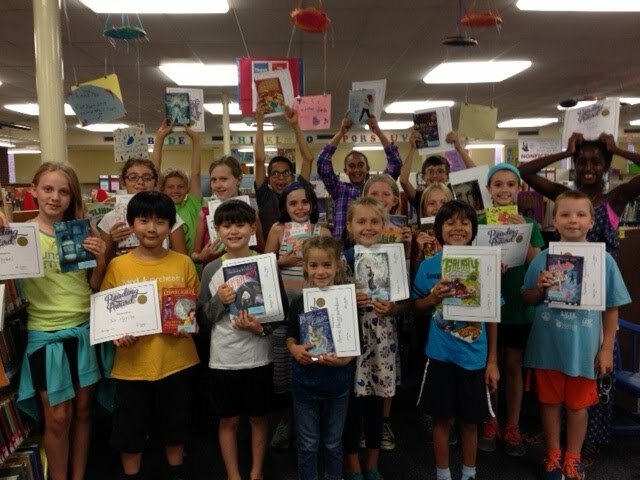 We had a fun afternoon in the library celebrating the students who completed their Summer Reading Bingo Challenge. These students read over 15 books this summer and recorded their titles on a Bingo genre sheet (reading from poetry to biography and graphic novels). Each participant received a prize. Of course, it was a book! And 17 days into the school year and these Wildwood readers are WILD about reading! We've checked out 2,762 books - that's 1/10 of our total collection!